Whether you’re looking to purchase a vacation home in the mountains of North Carolina or add an investment to your portfolio, luxury homes for sale in NC are an attractive choice. The term “luxury” is relative to its market and tends to be thrown around carelessly by even professionals, but The Mountain Group at Premier Sotheby’s International Realty has a heritage rooted in luxury real estate. If you want a competent agent assisting you in this paramount endeavor, let’s get started today. What luxuries do you value? Are you most interested in the outdoor living space, the presence of a chef’s kitchen, deluxe amenities, or exclusive décor? Other attractive qualities you may find in high-end homes are interior openness where natural light fills the space, tiered decks that afford resting places to take in the views, and an expansive layout that promises more house for the cost. The best part is these attributes also support the resale value, so nothing’s in vain. 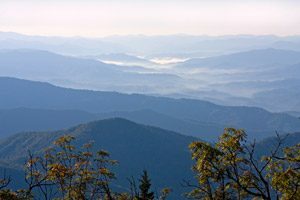 Our site showcases a comprehensive list of available properties in the Western NC region, from which you’ll be able to easily filter the listings that meet your criteria. From narrowing by strictly price, for example, homes listed for $1,000,000 or more, to details including everything your heart desires (select niceties, a specific location, and number of bedrooms), it won’t take even the most discerning buyer long to have their options before them. Browse our site to see the attractive properties, learn about our region’s most desirable residential communities, and read about our agents. You’ll soon see this is the only resource you need when scoping out the luxury market of the High Country. Let The Mountain Group at Premier Sotheby’s International Realty introduce you to real estate of mountain luxury and southern charm. Likewise, let us share with you our success as we lead the way toward a booming change in our realty industry. A buyer or seller who works with us is one who makes smart decisions from the beginning; the rest soon becomes history. Together, we’ll conquer the market of luxury homes for sale in NC, and you’ll enjoy your reward for years to come.